If confirmed by the U.S. Senate, Suzette would continue to lead the terrific USGS team in your important mission to provide timely, relevant, and useable information that deepens our understanding of the earth and our natural resources. Suzette has already demonstrated her exceptional leadership qualities and extensive scientific expertise during her many decades of public service – most recently as Acting Director of the USGS. She is a strong advocate for the science mission at Interior and its power to offer solutions to some of our most complex natural resource challenges, like impacts of climate change or natural hazards and their threats. Suzette has a long history at USGS. 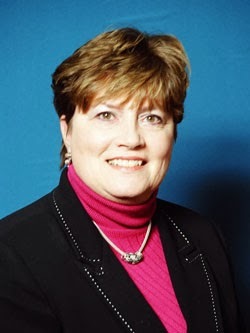 Before assuming the USGS Acting Director position in February 2013, Suzette served as the Deputy Director from 2010 to 2013; as the Associate Director for Geology from 2008 to 2010; as the Director of the Eastern Region from 2004 to 2008; and as the Eastern Regional Executive for Biology from 1998 to 2004. Before working at USGS, Suzette worked on natural resources at the National Park Service and the U.S. Army Corps of Engineers. I sincerely appreciate Suzette’s leadership over the last year, and I know that our employees and the American public will continue to be well served by her confirmation as Director. Additional information about Suzette and her background is available here.